Alfred John Hull was born in Nottingham 1906. His parents, Charles Percy and Mary Hull, lived in Claypole before moving to Church House, Sneinton. Alfred became an RAF air gunner and in March 1940 he married Muriel Annie Hoyes, the elder daughter of (the late) Samuel and Susan Hoyes of Seaton Cottages, Claypole (Main St, opposite Barnby Lane). The reception was held at The Five Bells and Muriel stayed at Seaton Cottages after the wedding. 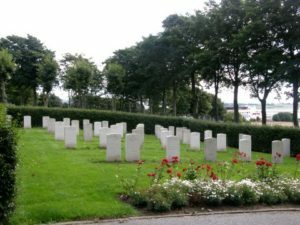 Three months later, on 15th Jun 1940 Cpl Hull was killed over Norway (age 34). 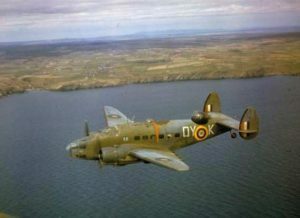 He was flying on a bombing raid in a Lockheed Hudson of 224 Sqn. They took off at 06.25 from RAF Leuchars (near St Andrews) to bomb an ammunition dump but were shot down by flak off Stavanger at 0900. His body was washed up in Norway the next day. No identification was found but the German authorities sent photographs of the body and details of personal items, including a signet ring marked ‘AJH’. Muriel was able to confirm that the personal items were his and his Sqn identified him from the photographs. The pilot’s body was also found and they were both buried in Sola Churchyard. He is remembered on the Claypole war memorial.